Here is what some folks are saying about the film. – Scott Braid, Maryland Film Festival. – Bunyan Bryant, Ph.D. Director of the Environmental Justice Initiative at the University of Michigan School of Natural Resources and Environment, Ann Arbor, Michigan. “What happens when neoliberal policies come home? 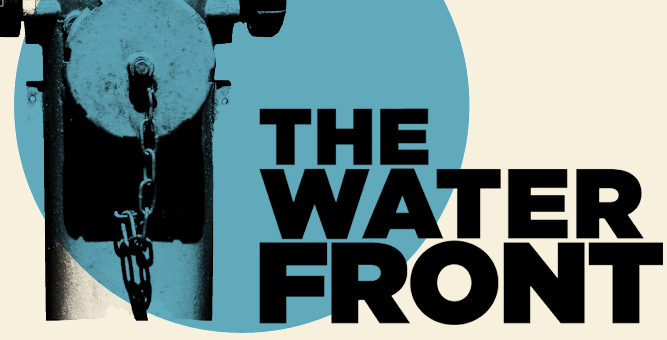 The brilliant and engaging new documentary The Water Front offers a sobering and eye-opening account of a privatization scheme and its effects on the poor and working class citizens of Highland Park, Michigan. Filmmaker Elizabeth Miller tells the stirring tale of a declining U.S. city and the valiant struggle of residents, inspired and led by African American women, to literally fight City Hall. This film is particularly arresting and provocative because of the object of struggle: control over the water supply. – David Banks, Executive Director, Civic Ventures. – Eunice Yu, Freelance Journalist.